I don't think TT has ever beaten either JA or CR in WC football. Check me on that. I don't think T&T have played JA much in WC football. In the last twenty years I could only think of one WC campaign where both teams made it to the final round to play each other. I know CR is tougher opposition but eh want them yardies in the hex. JA messed up when they failed to beat Panama in their first game. and that was a home game for them. That's right. They needed to get at least a point to stay on pace with Panama. Don't see a way for Haiti at this point. USSoccer says Sept 6th. Our game vs Guat should be on the 2nd. Our MLS guys will be sharp, but the European players will be just a couple weeks into their seasons so the coach must factor that into their preparation. The line-up of Asia’s third qualifying round for the 2018 FIFA World Cup Russia™ was complete with the remaining seven slots filled on Tuesday’s closing matchday of the second round. While Australia, Iran and Uzbekistan all prevailed to progress as group winners, Syria, Iraq, China PR and United Arab Emirates finished as the four best runners-up to join the already-qualified Qatar, Korea Republic, Japan, Thailand and Saudi Arabia in the next phase. The draw for the next round will take place on 12 April in Kuala Lumpur. With the competition also serving as the qualifying for the 2019 AFC Asian Cup in United Arab Emirates, these teams received added reward with qualification to the continental finals. Despite elimination from FIFA World Cup qualifying, though, the rest of the sides all made it to AFC Asian Cup qualifying. The next top-sixteen finishers, including the four remaining runners-up, progress to the third qualifying round to UAE 2019, while even the rest of the teams had their own share of joy by featuring in the AFC Asian Cup qualifying play-off round. Join FIFA.com as we review all of the exciting action across the continent. Philippines from Group H, under American Thomas Dooley, produced one of the matchday's biggest surprises by overcoming South Africa 2010 finalists Korea DPR 3-2, fulfilling the former USA captain's promise of defeating the Chollima at home. In what proved to be a seesaw-battle, the hosts, who came away with an unlikely goalless draw in Pyongyang, came from behind to see off a side 44 places above them in the FIFA/Coca-Cola World Ranking. While the result did little to help the Razkals’ qualification, it did contribute in shattering the visitors' hopes of a place in the last 12. Desperately needing points to secure progression, Korea DPR pressed hard from the outset. It was, however, the home side that took the lead in surprising fashion, Misagh Bahadoran heading home to complete a move initiated by Javier Patino two minutes from the break. So Kyong-Jin soon drew the scoreline level before Ri Hyok-Chol put the visitors ahead shortly after the restart. The game looking destined for victory in the visitors’ favour, however, the home side staged a strong comeback with a two quick-fire goals from Manuel Ott and Iain Ramsay sealing a memorable victory for the tournament debutants. In another match in the group, having seen their progression confirmed by Korea DPR's loss, Uzbekistan went on to win 1-0 over Bahrain at home. For me this was the most exciting WC qualifier yesterday. Colombia looking very dangerous right now. Keep the momentum beat Guatemala in the HCS. Right now, DJW and Coach Hart need to sit and have a serious conversation about preps for these 2 games. I think the Guatemala game is most crucial. Because if we win that we thru to the Hex and then coach can give other players time against the US. If we can get 2 games a month(wishful thinking), that will be 10 friendlies. Some against JA, Haiti, Central American and South American teams(Venezuela, Colombia, Ecuador, Brazil Z team, a return game against Argentina in the HCS. We just need games for these guys(especially the home guys). Hard luck to Haiti and Jamaica. They in a tough group. We lucky that we get drawn into a less competitive group. Jamaica actually has a very good team. Probably the best team since the 98 Reggae boyz. They are going to fight Panama like hell in Panama city come September. We have better results vs Panama for wcq. So whats going on in group B might actually be good for us as we have a better record against Panama as opposed to Jamaica. Still bothers me that Haiti beat we in Copa. I watched some of their game yesterday. They lack cohesion. Only run and kick and tackle hard. I agree Deeks. Just imagine if we can get some friendlies against good competition regularly. Venezuela is a much better team now. They right in we backyard (or we right in their backyard). We should at least get some games with them. When last we play them? 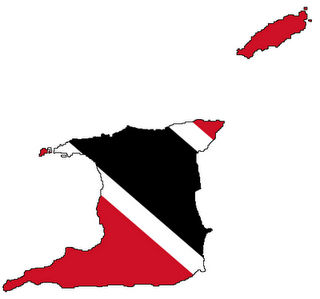 We actually closer to them than Grenada. I belive Jamaica has only scored TWO goals in their last four World Cup qualifying games. This is poor!.. They had to be able to put the ball in the back of the net more often if they wanted to qualify. Panama is not going to roll over to JA in Panama City. Panama will be the ones playing at home. It will be tough from now till the end for Jamaica. I belive Jamaica has only scored TWO goals in their last four World Cup qualifying games. This is poor!.. They had to be able to the ball in the back of the net if they wanted to qualify. Jamaica playing against 2 1/2 teams that are good. They should have at least a win at home. I guarantee they go fight Panama like a gunfight inna Waterhouse. Panama will walk a way with some points. Question is whether it will be 1 or 3. I believe a tie for Panama will be enough for them. Goal difference will decide the 2nd spot. I expect Jamaica to go all out on Haiti. Some yardies starting to blame the "offshore yardies", "reggae brits", "ub40s" for their struggles in the group. We will see what happens. Jamaica playing against 2 1/2 teams that are good. They should have at least a win at home. I guarantee they go fight Panama like a gunfight inna Waterhouse. Panama will walk a way with some points. Question is whether it will be 1 or 3. Some yardies starting to blame the "offshore yardies", "reggae brits", "ub40s" for their struggles in the group. We will see what happens. They have no excuses for not gaining points against teams that you are capable of beating. Failed at home to gain a point against Panama. I expect Panama to play much better at home than Jamaica played at their home especially with the Hex in their grasp. And I do not care who they blame, same side which made final of Gold Cup. No excuses. I not giving them any excuses. I just going by what some of their fans are looking at. But I with you. They shouldnt be where they are considering the wave of momentum they have been riding since beating us at the Caribbean cup. Caribbean Cup was in November 2014.. Their momentum died gradually since the Gold Cup. They have played poorly in their recent games. Scoring only two goals in four games and losing at home in WC competition. Their recent games is what is considered when looking at current form. This is what will be looked at when evaluating them in World Cup qualifiers. Yeah. I should have said the wave they were riding up to the end of the Gold cup.. But anyways. Haiti really bother me though. They had their top players yesterday.. And their quality was very poorrrrr. They never showed any invention at all. Placide, is probably one of the top 5 for Concacaf keepers right now. He manages his defensive line well. He kept Haiti in the game. Although Panama was better, they were not that much better. So then the group is not as hard as you claim then? I feel bad for them though. I watch the game against Costa Rica and they look like ...idk nah...without a prayer. You cld see the disappointment on their faces. Good luck to them on their future games tho. Every team has bad games Sando. Maybe it was Panama who played better.. Or maybe it was the Haitians that played worse. Or maybe it was Haiti's poor performance that made Panama look like the better team. At the end of the day, group B is more competitive/harder than our group and group A. What do you think? Is the group living up to the expectation of being the "group of death"? I think it is..
Nope. The way CR and PAN running away with the points in that group it clearly did not live up to the expectation of everyone battling each other on even grounds. So the answer is NO! Look at the damn points table and go back and watch the games.